NO RUSH, NO CROWDS, NO WORRIES. $85 per person for solo, tandem and triple flights. At Ocean Vibes, we believe that size matters, safety first and service is key. We absolutely enjoy what we are doing and it shows. We assure you that you’ll have fun too. What we enjoy most is making our guests happy. Read a few of our customer testimonials and you will appreciate our commitment to our guests. We’ve earned our record of customer satisfaction by exceeding the highest standards of quality and safety. Escape the real world with us as we snorkel pristine reefs, explore powder soft beaches and coves, explore underwater ledges and tunnels, refuel with awesome local food prepared fresh on the beach whilst you watch. A day with us will leave you trying to get more days off work for a vacation extension. Our list of fun and exciting adventures includes but is not limited to Snorkeling excursions; full and half days Catamaran Sailing and Snorkeling excursions, with a group or have us customize a private adventure just for you, your other half, family, friends, to celebrate a graduation, incentive reward, anniversary, or whatever the special occasion. Dream it and we will make it happen. Our team of international and local nature enthusiasts boast years of experience exploring the areas you will be visiting. With our dedication to safety and service combined with our local knowledge and experience we’re confident that we can share with you the heritage and natural beauty of the Turks and Caicos Islands like no one else. PADI/NAUI instructor, boat captain, tank filler, gear rinser, van driver, boat washer, and Kayak tour guide extraordinaire. 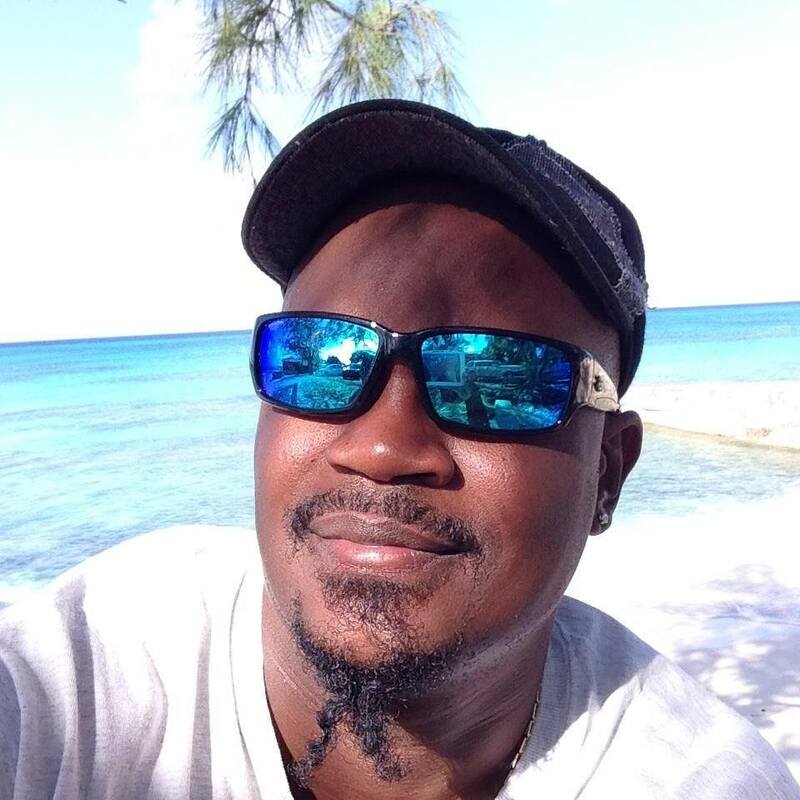 Originally from Grand Turk, Wayne grew up around the Caicos Islands and has been sharing his love of the sea and the natural beauty of the Turks and Caicos Islands ever since. Wayne began professionally guiding scuba divers in 1995 and has served as a Scuba Instructor since 1996. In 1999, he became the first (and still only) Turks and Caicos native to own and operate a scuba diving operation in Providenciales. Boat Captain, First Mate, Conch and Lobster Diver, Comedian, Tour Guide etc. Capt Ross is an experienced conch and lobster diver who supplies some of the local restaurants with fish conch and lobster and also moonlights as a private cook at some of the private villas around Provo. 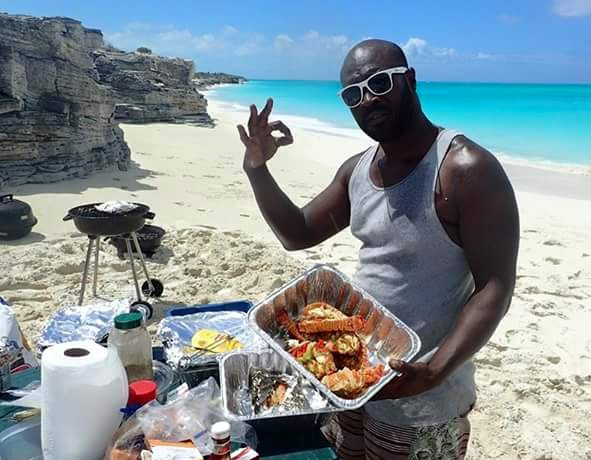 He has worked with us part time over the years and learned the Ocean Vibes way, he is now one of the best snorkel guides/ boat crew on island and is an absolute master at grilling local fish and lobsters on the beach for our beach barbecues. He is a genius at entertaining kids and you will frequently see him sitting up front on the bow nets surrounded by kids in a trance listening to his fish tales or a line of kids and adults following him across half moon bay or on the trails at Iguana island laughing their heads off to his educational briefings. Manager Jo, originally from the North East of England is a former Tax Consultant who decided to follow her dream and travel the world. After much backpacking and working as a Dive Instructor in Asia she discovered the beauty of Providenciales and joined the Ocean Vibes Dive Team. However, she spends more time these days above water in Grand Turk from where she manages the company. She handles all reservations so any queries, she is your point of contact. 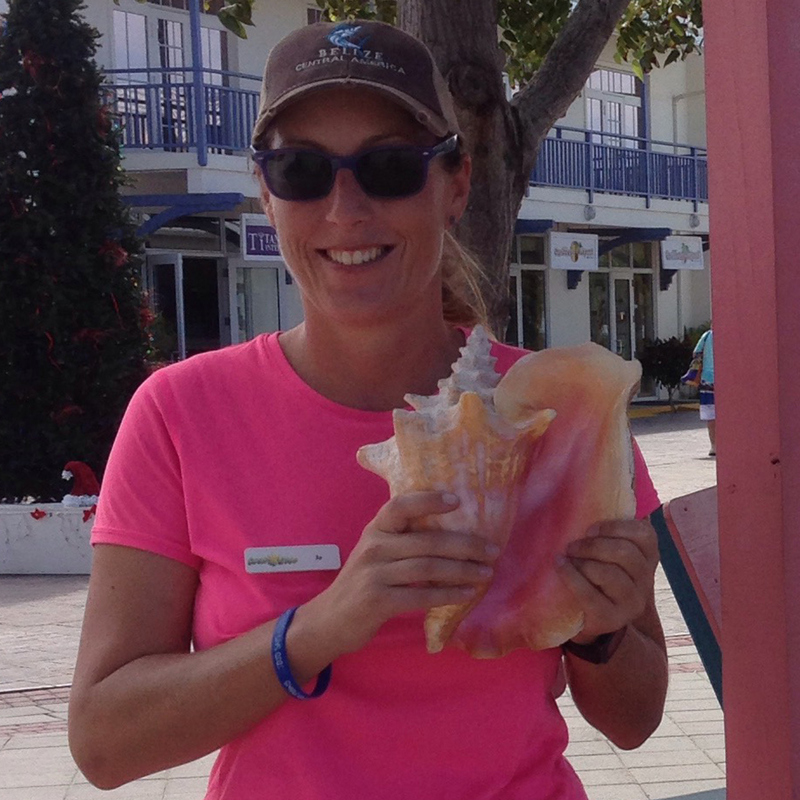 For all guests arriving into Grand Turk on Cruise Ships then she will be found at the Ocean Vibes booth in the Cruise Centre, greeting you with a smile and making sure you have the best time on your shore excursion. 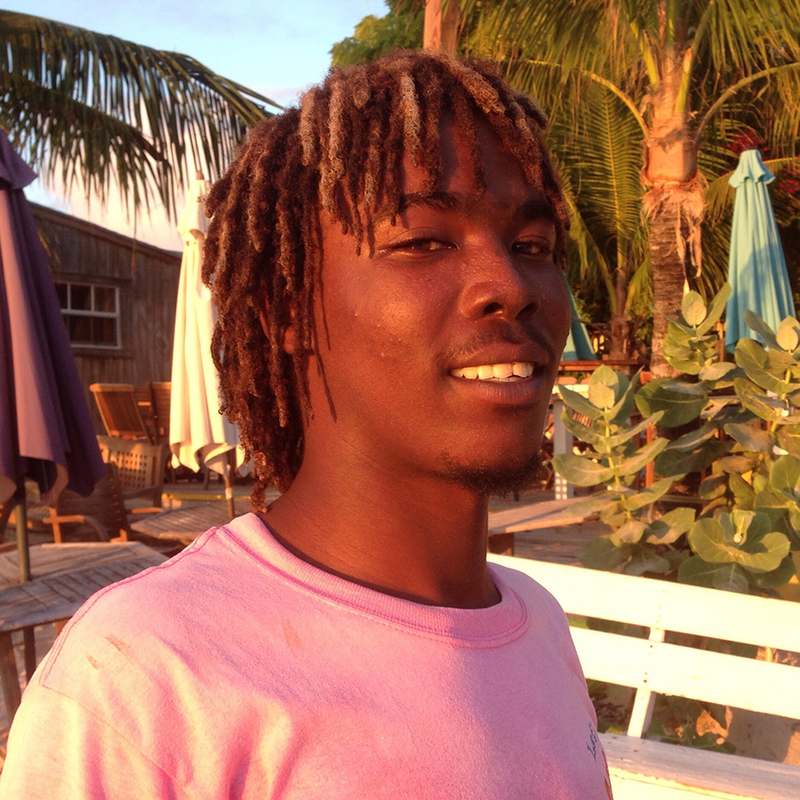 First mate Angelo, an original Turks Islander, works on our ‘Rays, Conch & Reef’ Snorkel Adventure in Grand Turk. He is an experienced Conch diver who will make sure you don’t go hungry on our tour, helping you locate the Conch which Captain Tony will later turn into the fresh Conch Salad. Don’t be confused when you see him standing on the front of the boat and pointing in a direction that you follow with your eyes and see nothing but the same colored water, he is pointing to where the conch are, without using a GPS, he says he can just feel it when he is in the right place. Angelo will demonstrate how to knock the Conch and if you ask nicely he may also let you try the Conch Pistol aka Island Viagra! He is quite an acrobat too so when you reach the snorkel stop, watch him somersault into the Ocean in his own unique way.